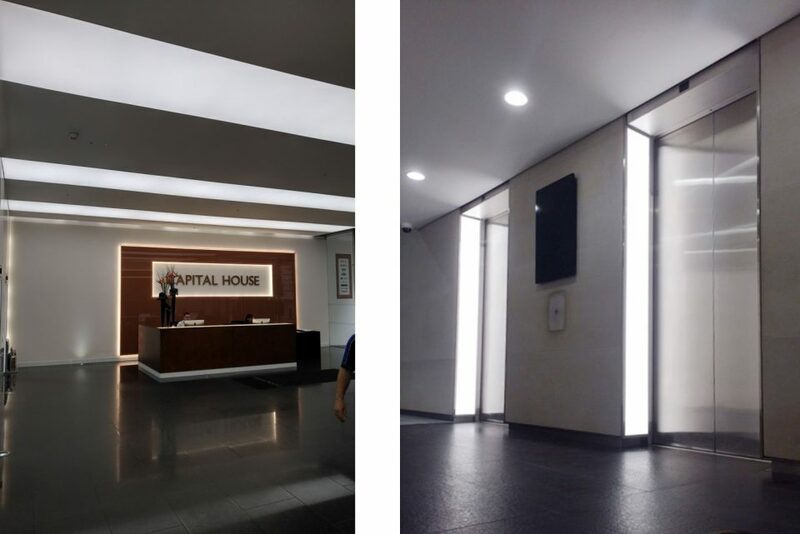 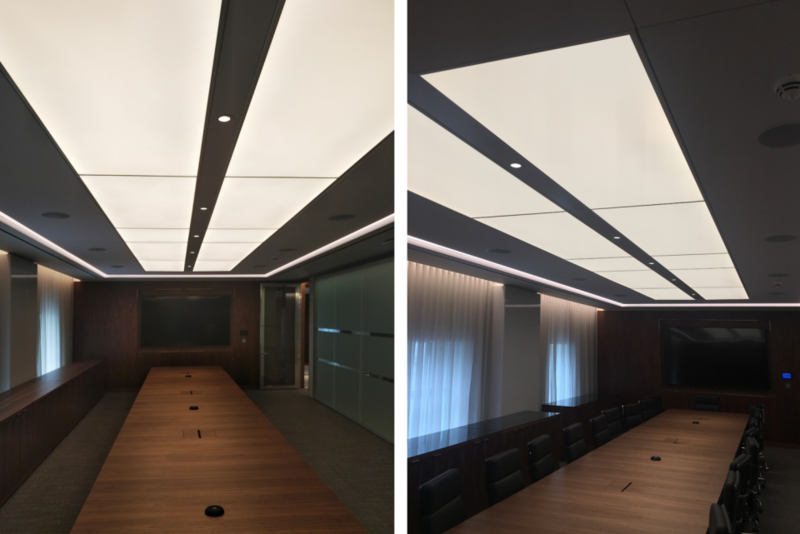 LED Light Sheet Panels have been installed into a London office development, creating a sleek, clean lighting feel to the reception area. 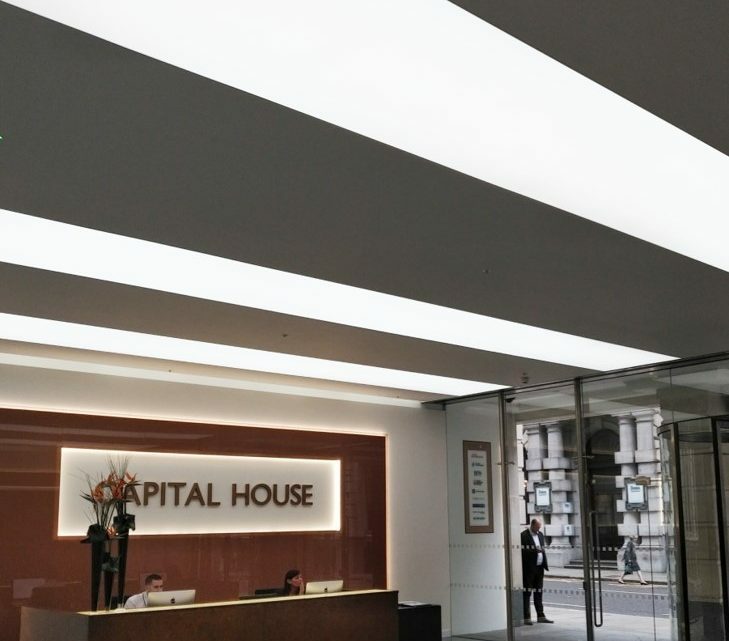 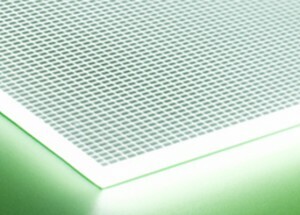 Working with CCE Electrical Services, Bright Green Technology provided 40 Frame B LED Light Sheets for offices which were installed into existing ceiling lightboxes. 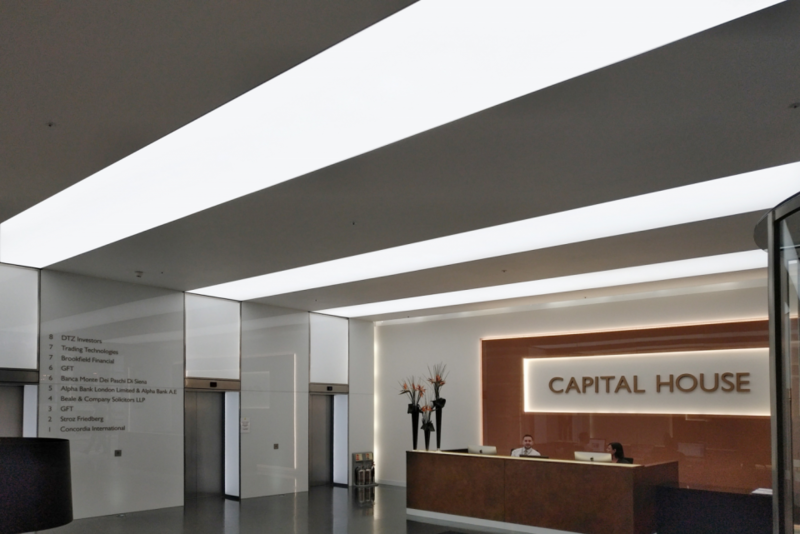 The ceiling uses a stretch fabric and replacing the existing tubes with reliable LED illumination eliminated the high cost of maintenance and replacement – as well as improving the brightness and diffusion of the illumination.